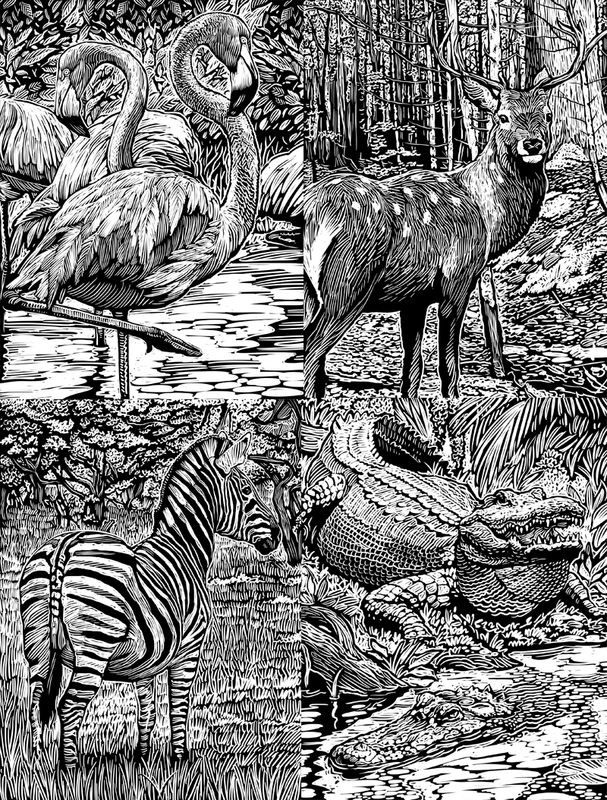 Here’s a few more samples from the ‘Animals Coloring Book’ that I did for Dover last year. 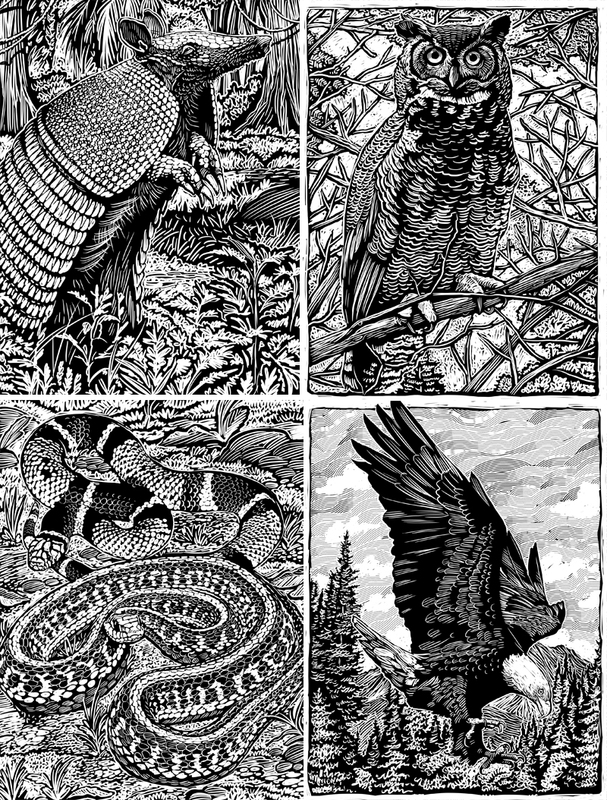 The color versions were used on the cover and inside flaps, and below are the next 8 of the black and white coloring pages. More to come next week. 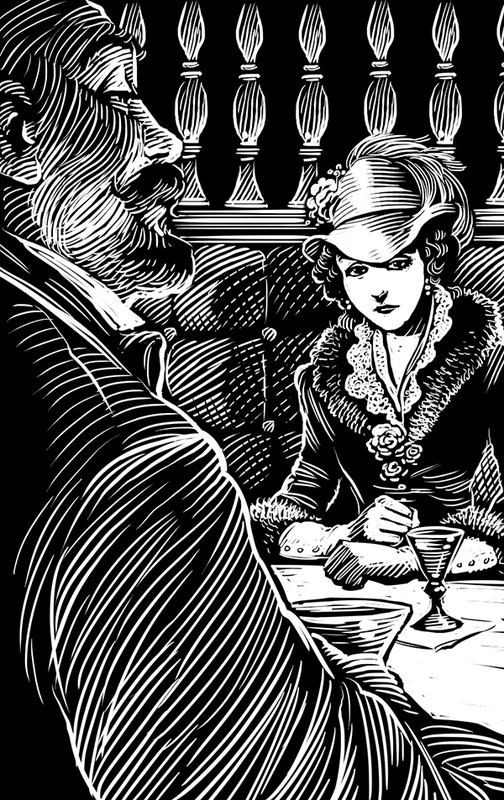 There may be the possibility of another coloring book on the horizon, and I did a ‘sample drawing’ of one in my usual scratchboard style this week. 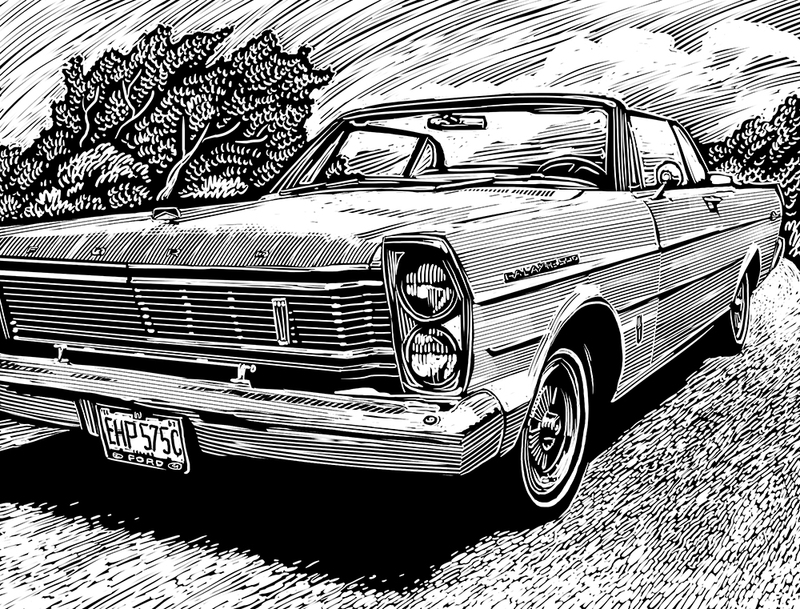 Here’s my wife’s first car, a Ford Galaxie 500. Did another fiction illustration for Alfred Hitchcock’s Mystery Magazine this week. Been working for this magazine since 1989, and never tire of the variety and the challenges of the assignments. Also, as this is one of the few remaining ‘pulp digests’ out there still in print, I enjoy the idea that I am linked in some way to those forgotten illustrators of yesteryear who I so admire. Each time I post a new illustration, I renew my plea for old back issues. I am missing copies of issues where my work has appeared from the years 1989-2000. If you happen to have a pile of old musty Hitchcocks in your attic, get in touch with me, I’d love to take some of them off your hands. After being away for a few years, I’ve decided to return to theispot.com to bolster my online advertising. I was one of their early subscribers back when the service first became available, and I was probably with them for almost ten years, before dropping my subscription during the economic downturn. 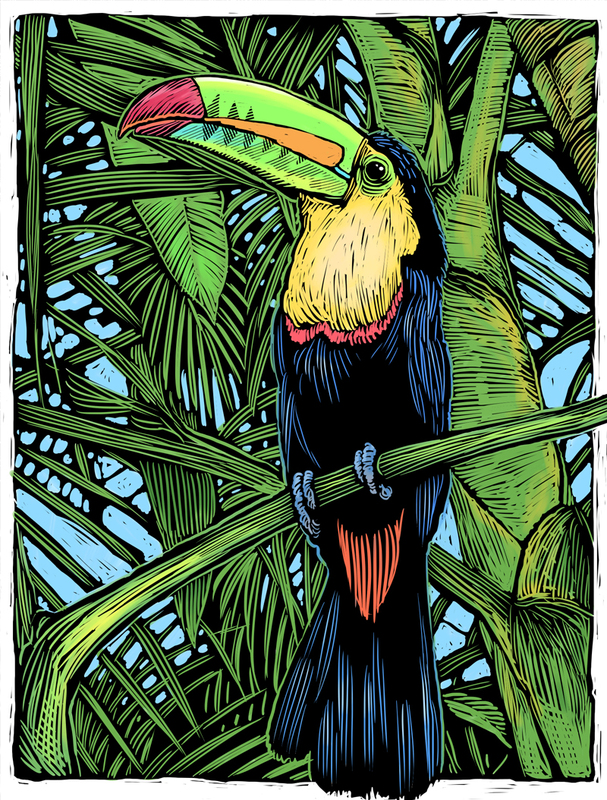 I’ve just finished uploading 60 illustration samples, and I must say, I’ve been enjoying their improvements to the site, so far. Uploading samples has been greatly streamlined, as well as management of keywords and search terms. My plan is to change out the samples on a weekly or monthly basis (depending on free time available) so as to keep the variety fresh, and perhaps tightly focus on particular styles and subject matter on each ‘changeover’. 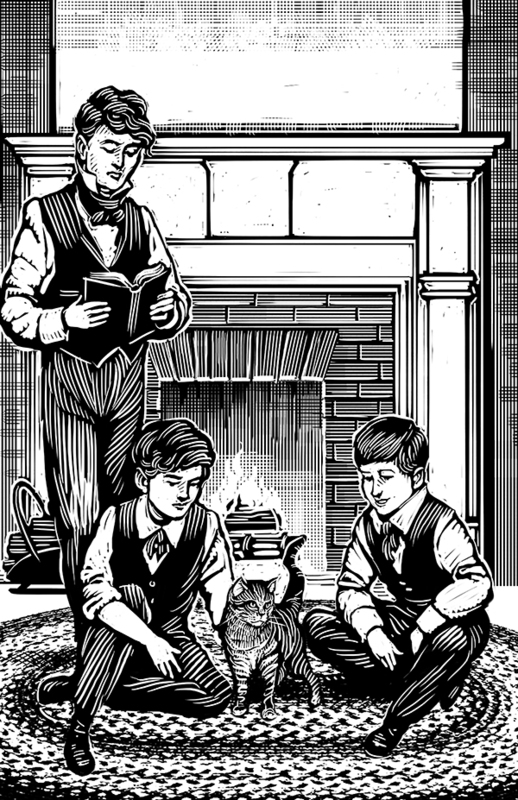 Another book cover illustration for Dover for their ‘Evergreen Classics’ line, for ‘Little Men’.